The principle of "innocent until proven guilty" is an important legal principle in a constitutional democracy but it doesn't apply to moral judgements and the public's right to form its own opinions, writes Mpumelelo Mkhabela. 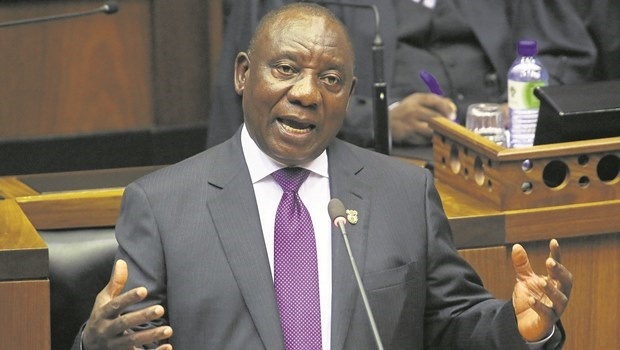 In an attempt to justify his dodgy business deal with controversial Bosasa/Africa Global Operations, Andile Ramaphosa said the company had not been found guilty by a court of law. There was therefore nothing to prevent him and his company, Blue Crane Capital, from doing business with Gavin Watson's empire that was built on corrupt state tenders. However, he had been aware of media reports implicating Bosasa in wrongdoing. The president's son seemed to suggest that only a court's guilty finding against Bosasa would have dissuaded him. He is the latest to rely on the default response – "innocent until proven guilty" – to justify taking a bad decision which he regrets. The government relied on it too to continue giving Bosasa tenders regardless of irrefutable media reports and a finding by the Special Investigating Unit pointing to corrupt activities. The principle of "innocent until proven guilty" is of course an important legal principle in a constitutional democracy where the rule of law has been central to our political civilisation after 1994. It didn't always apply during the apartheid era where the rule of law was compromised. This principle is meant for presiding judicial officers who are expected to be impartial when hearing matters on which they are to pass judgment. It is not for members of the public who are entitled to form their own opinions based on available facts in the public domain. We form opinions (judgements) daily about matters of public or commercial concern. We don't always wait for courts to make a finding. In the Constitution is enshrined the right to freedom of thought. The "innocent until proven guilty" principle has been used by powerful people to dodge accountability for their decisions. The abuse of this principle raises many problems that point to the need to put ethics back into decision making in government and the private sector. The first problem with the "innocent until proven guilty" default position, when used to justify turning a blind eye to wrongdoing, is that it reduces the need to make value judgements on issues to legal technicalities. The third problem is that, having outsourced value judgement to the judges, the powerful people have a perverse incentive to corrupt the justice system so that judges never actually arrive at a point where they can make a definitive judgment on questionable transactions. One judge once remarked in passing that he was surprised that with all the corruption reported in the media these cases never came before the courts. 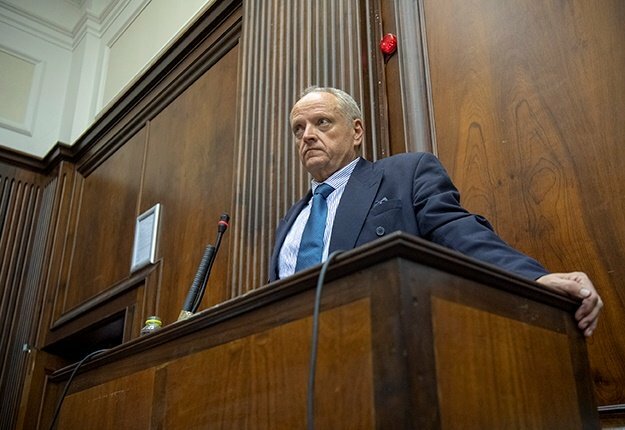 The evidence about how Bosasa captured the National Prosecuting Authority by bribing some senior prosecutors is an example of the perverse incentives to corrupt the justice system. But it seems even when courts have exposed wrongdoing, the bar is shifted even lower. For example, ministers found to have lied in court under oath, in contravention to the requirements of public office, want to return to public office because they were not "found guilty on any charges". President Cyril Ramaphosa should change this "innocent until proven guilty" narrative so that public representatives are accountable for their decisions. Once government sets the tone against unethical and corrupt conduct by appointing people of integrity (not innocent until proven guilty types), business people like his son Andile and influence purchasers like Watson will have no room to justify their conduct. The president's announcement that he plans to appear before the state capture commission of inquiry should be welcomed. His testimony, if delivered with the necessary honesty, could prove to be a decisive turning point. Hopefully, Justice Raymond Zondo will ask him, as he did Trevor Manuel, the important question – what should be done? - Mkhabela is a regular columnist for News24.